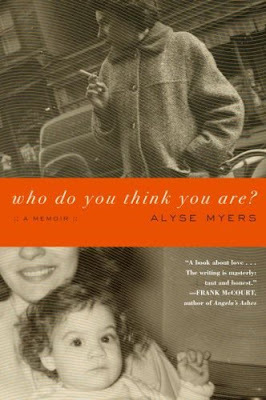 Quotes and Passages: Who Do You Think You Are? I loved ironing. As soon as I finished one piece, I would hand it to her and she would put it in a neat pile on the couch next to her. I would iron item after item late into the night. There was something so peaceful about those nights. I felt so grown-up and so important. I would think about how lucky I was to have that time with her. Just the two of us. ** I marked this because I liked that Alyse and her mom had at least one thing that they enjoyed sharing with each other. I'm sad though that this was about the only thing that they shared. "You know you can't smoke in my apartment, right?" I could feel the mood change, but I pressed on. " You didn't think I would let you smoke here, did you?" Did I not want her to come? "You didn't think I would let my apartment smell like yours, did you?" I couldn't stop myself. Now I was angry. "Surely you're not saying you can't not smoke for an hour or two," I demanded. "That's pathetic." She told me to drop dead and then slammed down the phone. I realized our relationship hadn't really changed at all. My mother never saw my first Manhattan apartment. **this made me sad that smoking was more important than checking out her daughter's new apartment!!!!!!!!!!! And then my mother said, "Oh, thank God. I thought he was telling me I was going to die!" And then I realized I didn't want her to die. That I wanted her to live. And that I wanted to start all over. Labels: Who Do You Think You Are?